Do you love to save money but always forget to cut coupons and take them to the store? Family Dollar® has a great new option for you! 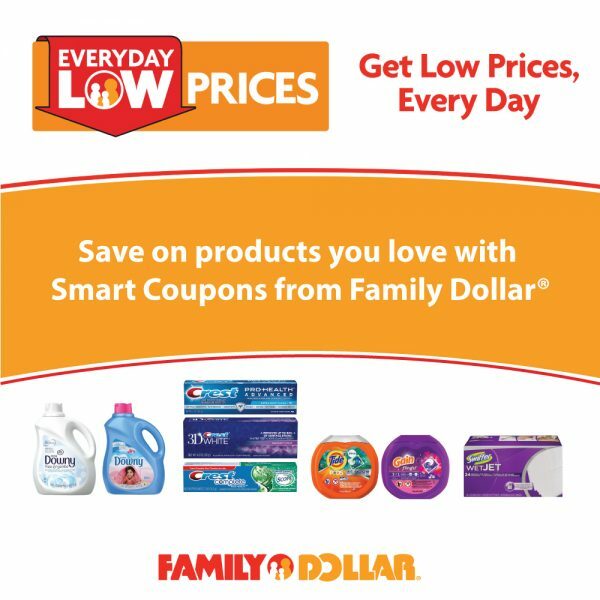 Introducing the Family Dollar® Smart Coupons program where you can clip coupons on brands you love, straight from your PC, tablet or phone. There’s no paper to clip, no coupons to bring into the store. At checkout, you simply enter your mobile phone number and save money, it’s just that easy! Did you know that Family Dollar® not only has the brands you and your family already love, but they also offer them at lower prices that are great for the family budget? Plus, now with Smart Coupons, you can save money on your favorite brands and popular products such as Tide, Swiffer and many more. It just makes sense to clip these coupons and save money. Registering for the Family Dollar® Smart Coupons programs is so easy, you’ll be saving money in just a couple clicks.